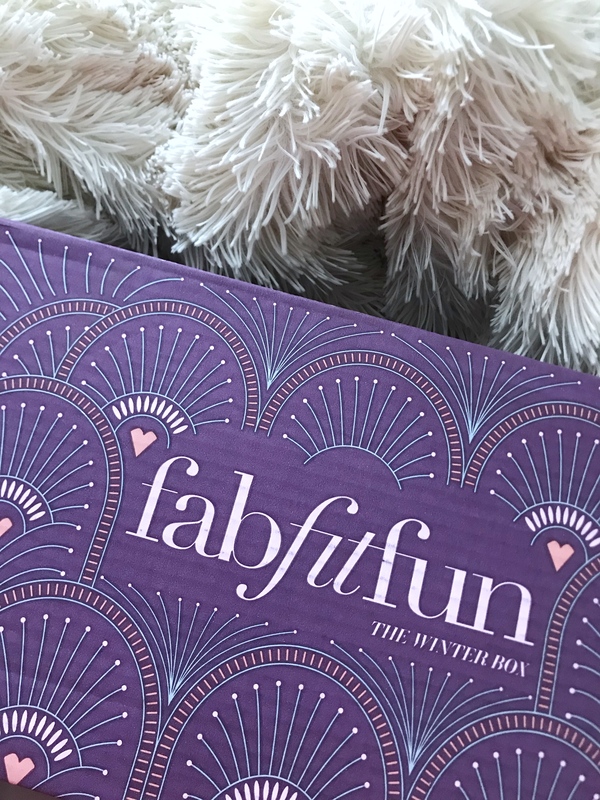 It’s time to talk about the fabfitfun WINTER BOX for 2017! This is my first box, but I have been wanting to try this subscription for so long. Man, am I glad it finally did it! 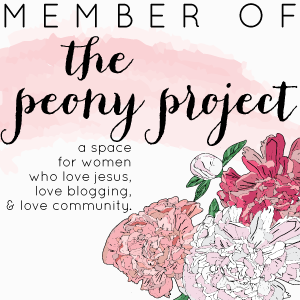 It’s the best subscription box because not only is every product inside FULL SIZE, but it’s also curated around what season it is! 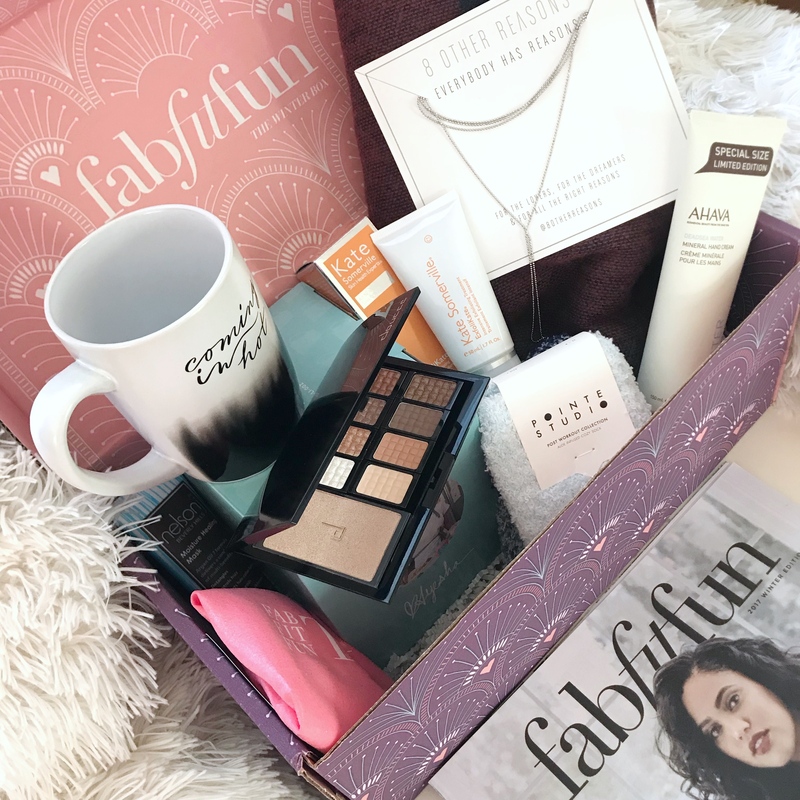 I am hooked, mainly because it’s a “Lifestyle” box, with a mixture of lifestyle items so you’ll get a little bit of beauty, wellness, hair products, a nice piece of jewelry, and even clothing items and workout gear! The box is always valued at over $200, but only costs $49.99 and you can get yours now for $10 off using my code WINTER10 🙂 . It’s a seasonal box, so you’ll get one in winter, spring, summer, and fall. Each box is tailored to include amazing items specific to the season. 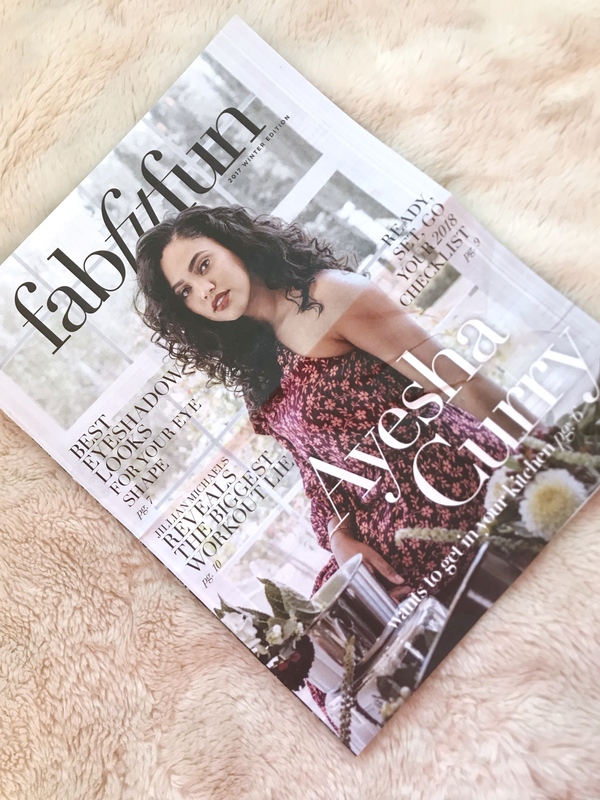 Go to fabfitfun to sign up! Boxes sell out fast, so hurry to get yours! These also make great gift ideas for family and friends. 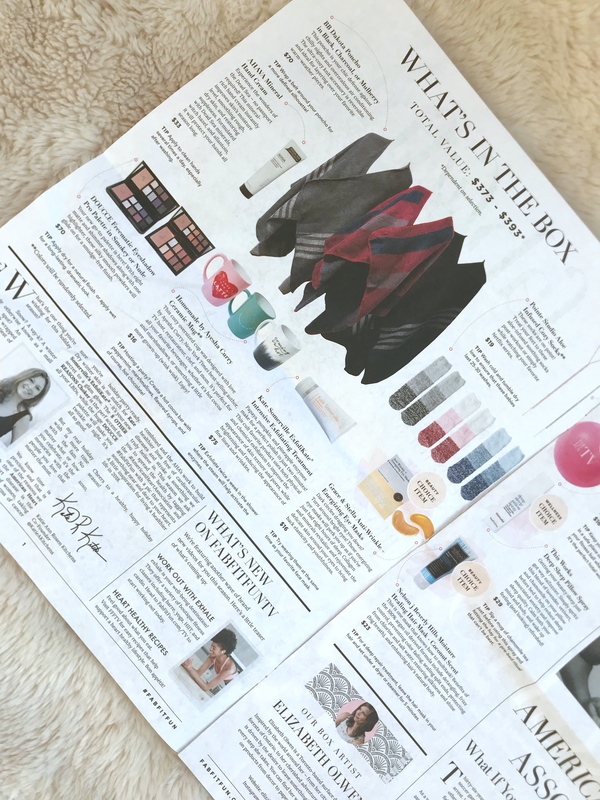 The fabfitfun box always includes an insert that looks like a newspaper, full of details about what’s inside. You’ll also find tips and tricks on how to use and wear each item, along with the retail value of each thing. This is so helpful because you really get lots of information about how to use the goodies in the box so you get your money’s worth out of each product. 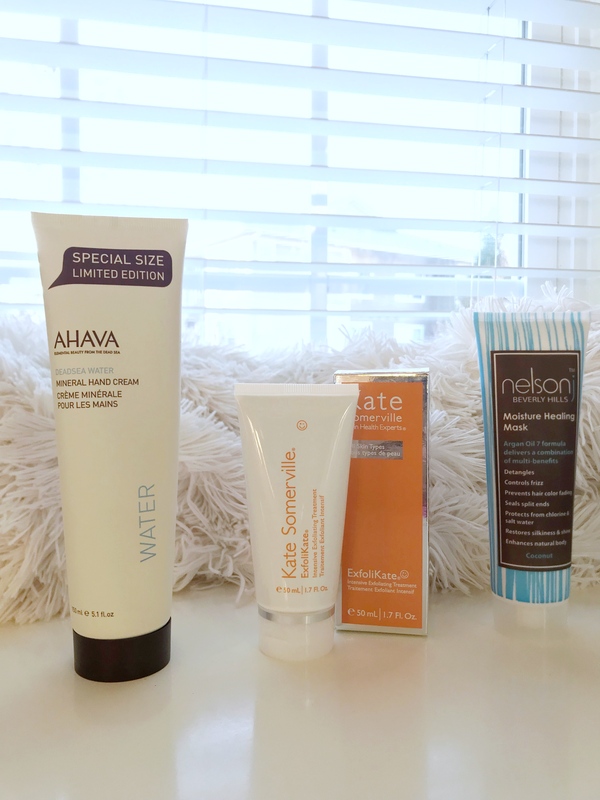 Up next is the AHAVA Mineral Hand Cream in this generous size. This is perfect for keeping hands soft and smooth this winter. There’s also a good hair mask inside: Nelson J Beverly Hills Moisture Healing Hair Mask. Sounds dreamy! Hair masks are my favorite, especially this time of year when my hair tends to be more dry and brittle than usual. Then I got the Doucce Freematic Eyeshadow Pro Palette which has 8 matte and shimmer shades and includes a really nice highlighter. The insert shares tips on how to apply the shadow based off your eye shape! 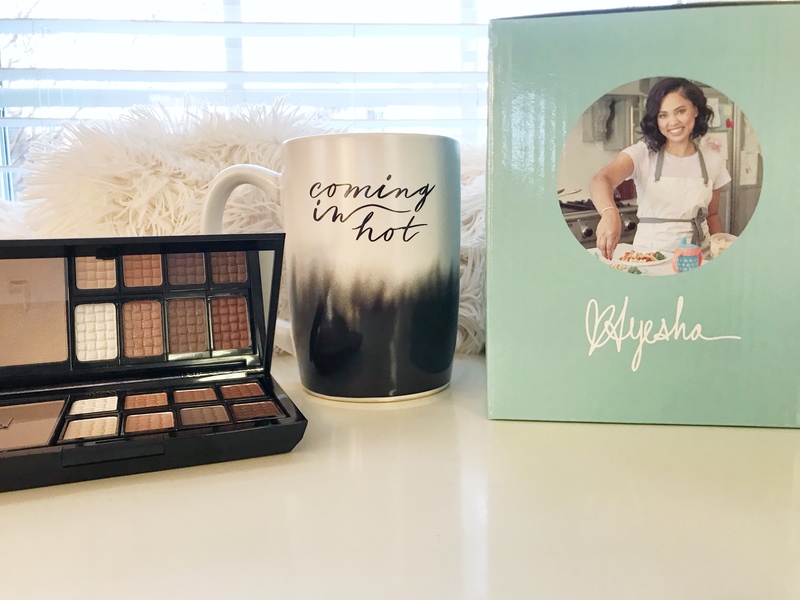 And then the cute “Coming In Hot” mug from Ayesha Curry! She’s my favorite and I am so excited about this mug from her cook ware line! There is also some workout gear inside- The Jillian Michaels Exercise Ball. 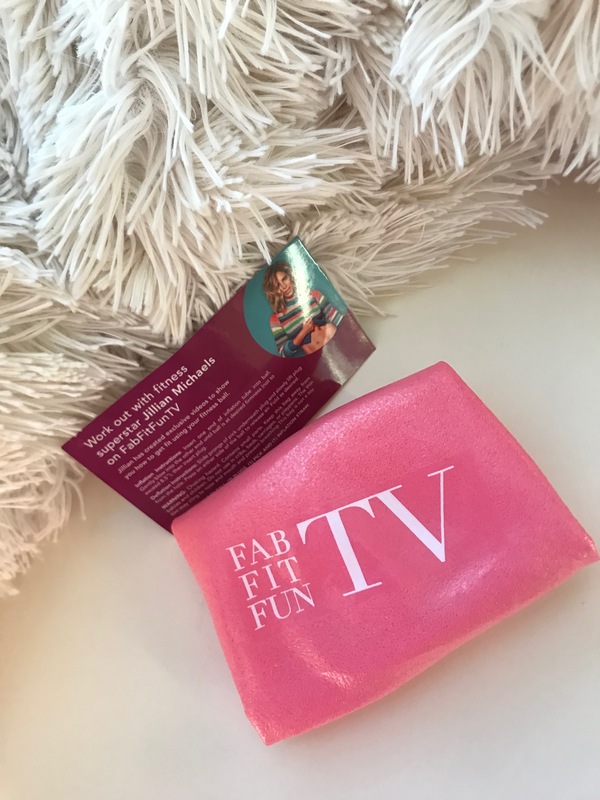 The box includes everything you need to inflate the exercise ball and get started with access custom for workouts by Jillian Michaels on FabFitFun TV. This will come in handy for quick workouts at home. There’s just so much good stuff. It’s like the never-ending box! This BB Dakota pancho is the cutest can even be worn as a scarf! The insert shows you different ways to style it this winter and I’ll be wearing this a bunch. Then we have the Pointe Studio Aloe Infused Cozy Socks. 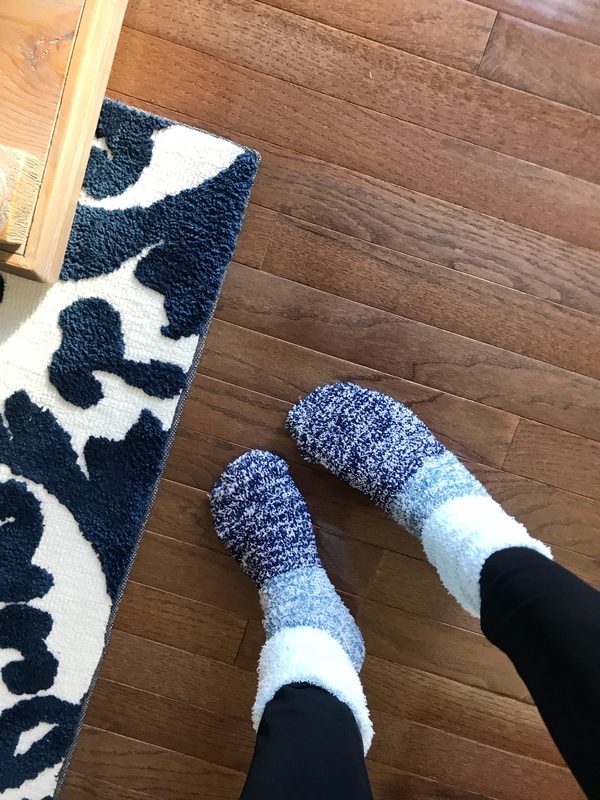 How cozy and warm to wear when lounging around the house in cute pjs or leggings?! Then there’s this 8 Other Reasons Choker, valued at $58. 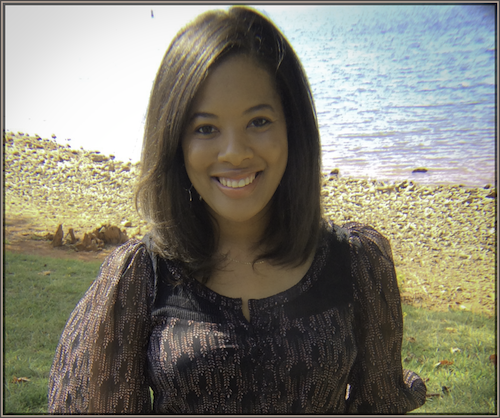 This layered look is adorable and seems easy to wear. This is going to go with pretty much anything in my closet!